Florida law requires restaurants in the state to abide by certain rules to make their property and products safe for visitors. When restaurants fail to comply with these laws, they can be held accountable in court and can be required to cover the cost of the injured party’s lost wages, medical expenses, and other losses. To learn more about filing your own claim against a negligent restaurant, please contact our dedicated personal injury legal team today. The defendant’s breach caused the plaintiff’s injury. Property owners who invite others on to their premises for business purposes owe those visitors the highest duty of care to ensure that their property is free of hazards and hidden dangers, so a restaurant patron who was injured when he or she tripped over a loose floorboard and broke his or her arm could recover damages if a link to the accident and the injury could be established. 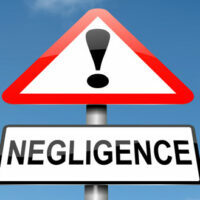 Unfortunately, not all negligence cases can be resolved so easily. In these cases, Florida residents who were injured in an accident that occurred on a restaurant owner’s property could rely on a number of other statutes that were put in place specifically to protect patrons. Proof that a restaurant violated one of these safety and welfare laws is often enough, in the eyes of the court, to prove that a property owner was negligent. A number of state laws were put in place to help protect patrons from contracting diseases after visiting a restaurant. For example, one Florida law states that sick employees must be sent home until they are well. Similarly, all Florida restaurants must provide sanitary facilities for employees and patrons, who must have access to soap, clean towels, and hand-drying devices. Restaurant operators must also ensure that their premises are protected from the entrance and breeding of vermin, which includes any animal or insect that is known to carry disease. In the event that vermin are discovered, the owner must have the premises fumigated, disinfected, or renovated. Florida restaurant patrons must also be protected from undesirable guests who pose a risk to their safety. This includes anyone who is in possession of controlled substances, intoxicated, fighting, or using profane or lewd language. Individuals who satisfy this definition must be told to depart the premises and if they fail to do so, can be removed by law enforcement officers. Finally, all Florida restaurants must be operated with regard to the health, safety, and comfort of patrons, which includes ensuring that the premises are properly lighted, cooled, heated, and ventilated. Restaurants who fail to comply with these laws can be held accountable for their negligence in court, if their failure led to the injury or illness of a patron. If you were injured while at a restaurant, please contact one of the dedicated Fort Lauderdale personal injury attorneys at Boone & Davis by calling 954-566-9919 and a member of our legal team will help you set up a free consultation with an experienced attorney who can evaluate your case.